Find love in gardens, at the movies or while running in your undies! If you ain’t about the classic movie-and-dinner option, meet new people and commiserate over bad dates at the more unusual events, or take your significant other on weirder February 14 adventures. There’s something for singles keen to mingle and coupled up sweethearts on the Thursday as well as the days around the sweethearts holiday. Don’t worry, you won’t be de-robing with a group of complete strangers for a shower: you’ll be getting to know them (while clothed) at one of Sydney’s most haunted sites. Start your evening with drinks and canapés, then move to the shower block for the official speed dating, followed by dinner and a ghost tour. Weed out the duds and grow new relationships at this Valentine’s Day gardening group date. Camperdown Commons is bringing lonely gardeners together to commiserate over stubborn weeds in this inclusive singles evening, which is open to all LGBTQIA and straight daters aged 18-40(ish). This joint is already well set up for an appropriately saucy date, with table service to your cosy bed while you watch flicks on the big screen. On the night of love, they are showing Paris, je t’aime (Paris, I Love You) which wanders through 18 short stories of romance and the city of love. This pop-up ’80s themed escape room at the Wanderer has less of a focus on code-cracking, and instead treats guests to interactive storytelling, where they can watch the show unfold or get as involved as they like. Bring a date on Val’s Day and they’ll pair you up to solve mysteries together. Sure, dinner and a movie isn’t the most creative date idea, but it’s a classic, and you’ll get props for booking a picnic space at Moonlight Cinema. On Valentine’s Day, they’ll be screening Crazy, Stupid, Love to inspire future ostentatious dates and love confessions. While Tinder dates come and go, a dog’s unconditional love is forever. 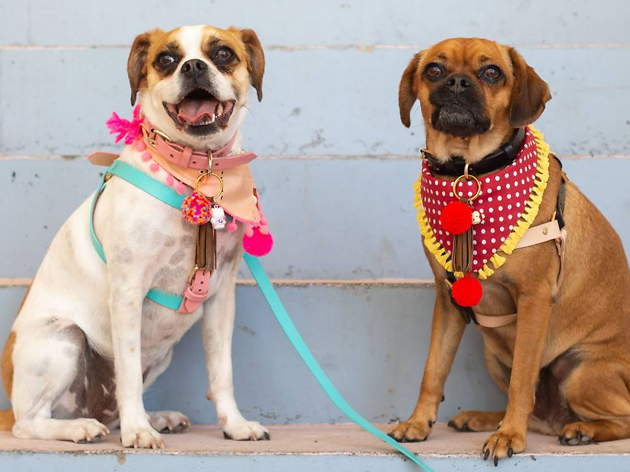 Before Valentine’s Day hits, celebrate the love of pooches at Public House Petersham with doggie kissing booths, parades, adoption meet-and-greets and even a doggo wedding. You’re probably crushing the solo choreography, but don’t waste those moves on your mirror, show them off on the dancefloor at the Oxford Art Factory. They’re throwing a free late night anti-Valentine’s Day party to celebrate your independence and renounce the commercialisation of love. In an effort to raise funds for the Children’s Tumour Foundation of Australia, swarms of Sydneysiders will be stripping down to their briefs to jog, dance and guffaw their way from the Hyde Park to Opera Bar. The fun run is a doable 1.5km, followed by a huge afterparty for meeting new peeps. At Daybreaker they’re combining your yoga practice with a morning rave. Spend the early hours seeking out good feels in a one-hour yoga class followed by two hours of dancing at the aquarium. All those happy endorphins will leave you feeling better than any dinner date. Time to crank your whimsy sensors to their maximum setting, because the new season of romantic dining in a Ferris Wheel is upon us for another glorious Sydney summer. The Ferris Wheel Dining Experience lets you canoodle in your own carriage over three courses and matching wines.